Last month on The Spice Trail I called for your favourite Mexican recipes and boy, did you lot rise to the challenge? The following round-up is a sensational celebration of Mexican cuisine, demonstrating just how diverse and exciting this nation’s food really is. How about starting our Mexican feast with a few nibbles? Pridhi from Drizzling Delicacies has brought these Easy Homemade Nacho Chips (1) to the party, flavoured with roasted cumin and totally irresistible. 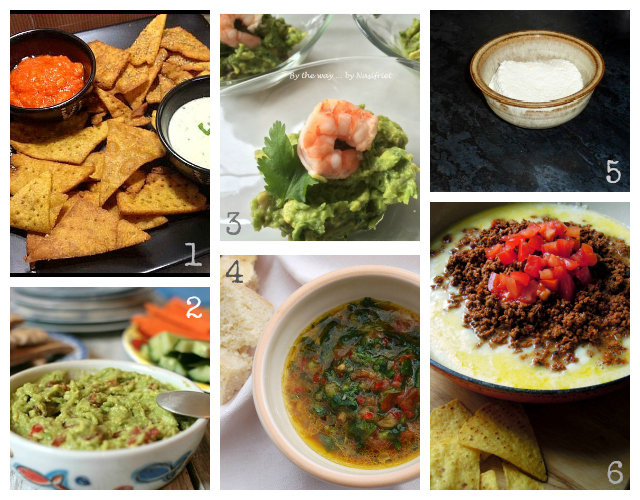 And how about some dips to accompany those nachos? Louisa from Eat Your Veg has made a super easy, super healthy Holy Moly Guacamole! (2), while Nasifriet offers us her Guacomole with a Twist (3) – the twist coming in the form of grey shrimps and tiger prawns. Grab some crusty bread for this colourful Mexican Oil Dip (4) from Sarah at The Garden Deli, featuring lots of Mexican-inspired flavours such as coriander, chillies, lime and tomato. I think Sarah’s spicy oil would be a wonderful accompaniment to this homemade Queso Fresca (5) from Lapin d’Or and More, which is also perfect served with pasta. If there’s any bread or nachos left, you can use them to scoop up some of my very messy but incredibly moreish Queso Fundido (6), a Mexican version of fondue topped with spicy chorizo and a fun addition to any gathering. Time to clear away the nibbles and get properly stuck into our Mexican menu. First up is my Black Bean Soup & Chilli Baked Feta (7), a dark and deeply smoky soup which is a perfect match for the spicy, tangy feta cheese. We’ve a couple of sweet potato dishes next. I love the look of this vibrant Sweet Potato Salsa (8) from Nasifriet, which sounds so zingy and refreshing, and then how about these marvellously vegetastic Sweet Potato, Zucchini and Olive Quesadillas (9) from Johanna at Green Gourmet Giraffe, in which the sweet potato becomes a replacement for cheese. Similar to cheese-less quesadillas are these Cheater Tlacoyos with Nopales (Cactus) (10) from Janet at The Taste Space. Never having eaten cactus, I am really rather intrigued by these, which are served with a generous helping of refried beans – which I have eaten before and adore. Janice from Farmersgirl Kitchen brings her take on a Mexican ‘Tortilla’ Bake (11) to our table, which looks so tasty and just the dish for using up a fridgeful of eggs and veggies. How about following that up with a serving of these Bean Enchiladas (12) from My Kitchen Odyssey, made with blackbeans, mushrooms, chilli, garlic and of course lots of Mexican spice? Linsy from Home Cook Food shows us how to make her versatile Home Made Red Enchiladas Sauce with Roasted Tomatoes (13) next, which as well as being great in enchiladas is also ideal for chimichanga or any other Mexican dish requiring a tomato sauce. Indeed how about trying it in Linsy’s tasty Soy Chorizo and Vegetables Enchiladas (14)? These Vegan Mexican Tamale Pies (15) from Shaheen at Allotment 2 Kitchen look just so tempting. I really wish she lived closer to me so I could sample some direct from her stall. She describes them as a Mexican version of shepherd’s pie, made from soy mincemeat and beans, topped off with a creamy cornmeal topping. Don’t they sound good? Holy Mole! We have another stunning vegetarian dish next, this time from Sarah at The Fig Tree, whose Vegetable, Lentil and Bean Mole (16) features a lovely homemade Mexican spice mix as well as a whole host of virtuous veggies and even chocolate. A perfect meatless Monday meal, I reckon. Beans feature a lot in Mexican cookery and there are no less than 15 different kinds in this Vegetarian Chilli (17) from Linsy at Home Cook Food. She describes it as a thick soup and is good served with quesadillas, corn cakes or corn bread. I like the way she’s served it with a generous dollop of guacamole on top. Another chilli next but this time a meaty Chilli con Carne (18) from Julie’s Family Kitchen, another entry to use that classic Mexican addition of dark chocolate. Now doesn’t that look like a satisfying bowlful? 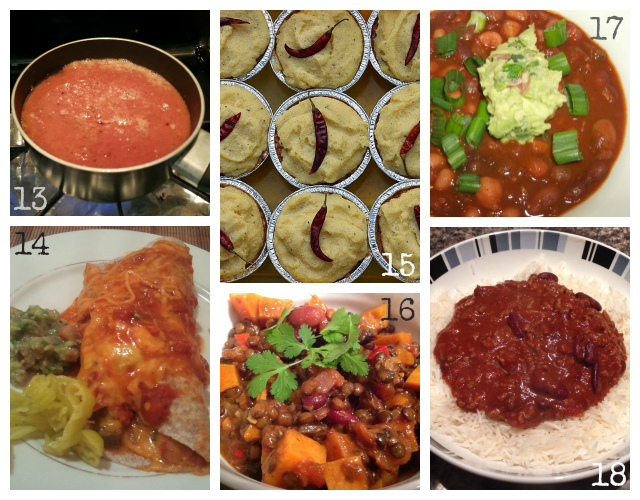 Elle from What the Cook also brings a chilli to our Mexican table but this time it’s a Healthy But Hearty Chilli Con Carne (19), which she says not only tastes divine but also does you a bit of good too. It looks and sounds full of flavour and I like the idea of topping it with both fresh parsley and mint – a combination I haven’t tried before. Not surprisingly, Martin from Spurs Cook has brought a football theme to our Mexican party with his Chicken Villa-jitas (20) – get it? To be honest, I don’t really understand the football references (I’m more of a rugby girl myself), but I do like the look of Martin’s tasty fajitas, flavoured with lots of cumin, paprika and coriander and I know they’d be a big hit with my kids too. Next up we have some Moreish Mexican Fish Tortillas (22) from Elle at What the Cook. The fish in question is haddock, which has been marinated in a whole host of gorgeous Mexican spices along with both grapefruit and lime juice – doesn’t that sound fantastic? Finally it’s time to end our Mexican party with a little sweet something, or two. 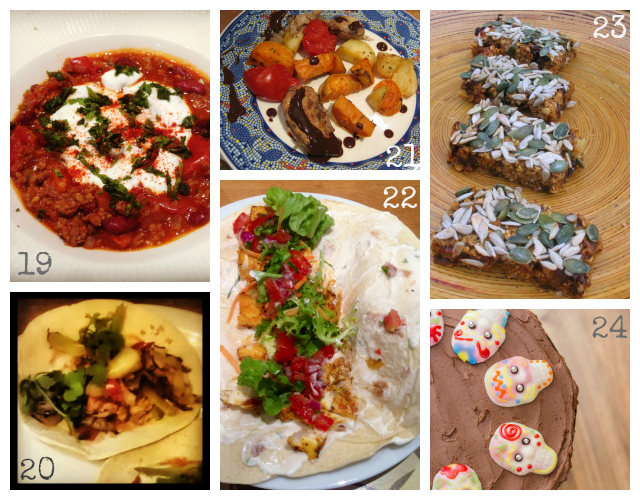 Choclette from Chocolate Log Blog brings us these Mexican Smoked Chilli Energy Bars (23). Perhaps they’re really a little two healthy for a pudding, filled with oats, nuts and dried fruit as well as some of Gran Luchito’s excellent smoked chilli honey, and possibly more appropriate for breakfast, but I know I could happily tuck into one of these any time of the day. This Mexican Spiced Chocolate Orange Cake (24) from Cakes From Kim definitely fits the pudding bill though, with its decadent three tiers of truffle-like chocolate cake flavoured with orange and cinnamon. I love the pretty skull decorations too, inspired by the Mexican Dia de los Muertos. What a perfect way to finish off our Mexican feast. Well done everyone! 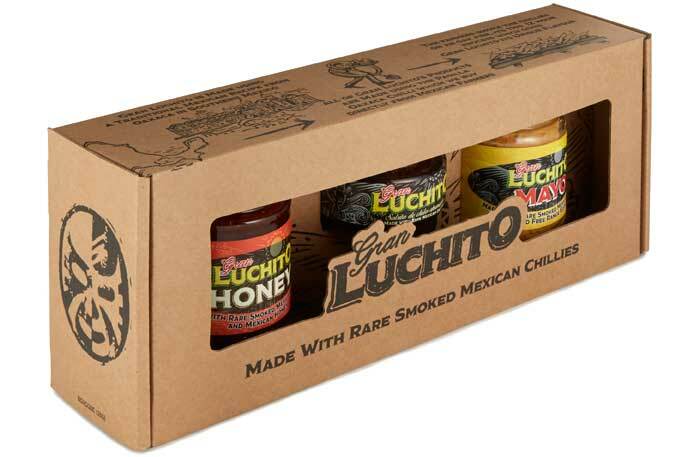 We’ll get your Gran Luchito goodies out to you in the post as soon as you email me your addresses. Enjoy! And thanks to everyone that took part in our glorious celebration of Mexican cookery. 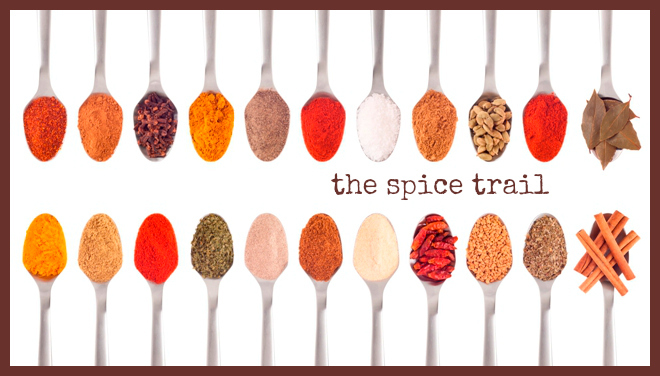 May’s Spice Trail is being hosted by Solange over at Pebble Soup and the theme this month is Vanilla. I can’t wait to see what dishes you come up with featuring this veritable queen of spices. Wow, such a fantastic selection of Mexican recipes. What a brill selection, making my mouth water!! Lots of great ideas, and I love that so many of them are meat-free! Thanks Sarah – yes, we got such a wonderful range of recipes this month. And did you spot your Mexican oil won a runner-up prize? Well done you! Could you email me your address and we’ll get your prize of some Gran Luchito chilli paste out in the post to you asap? Great roundup and a great challenge! Congras to the winner, and I’m So delighted to have been a winner of sorts too. 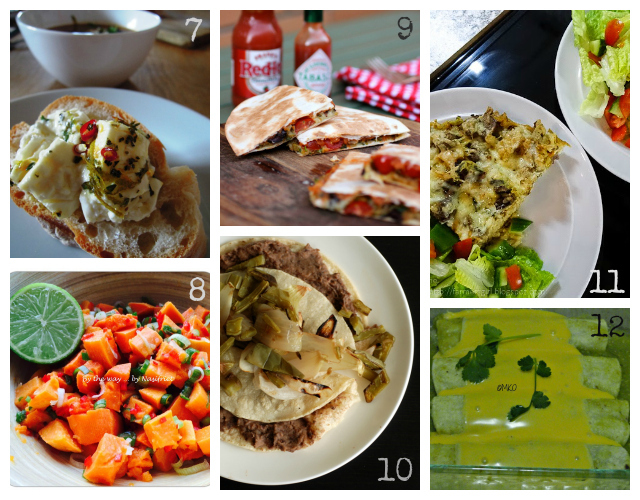 Loving the meat freee Mex recipes too. Thank you so much for hosting and for the write up – fabulous. Gosh, I would have found this so difficult to pick a winner – so many delicious looking dishes here. I don’t think I shall be running out of Mexican recipes any time soon. Thanks for the fab round-up.